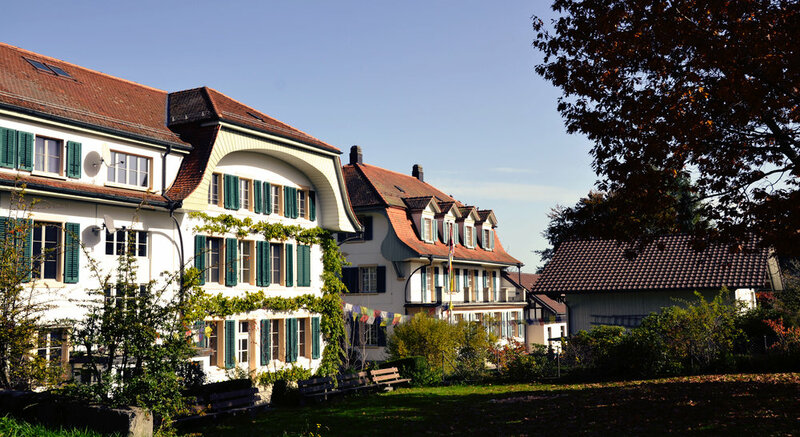 Landguet Ried is a retreat center and seminar house with accommodation in the area of the Swiss capital of Bern. The center is easily accessible by public transport yet surrounded by nature and forests, providing group organisers with an inspiring setting for deep and authentic interactions among groups, where participants can meet, learn, exercise, interact and share. 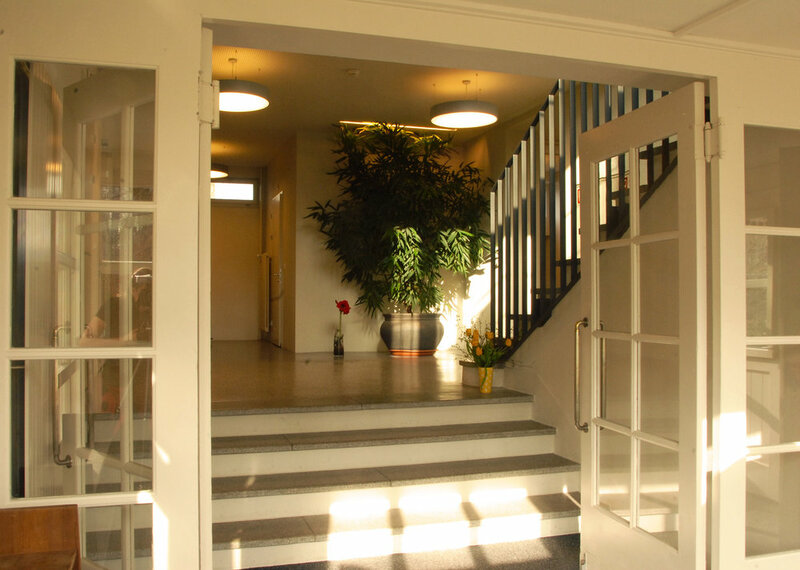 Our adaptable and fully equipped seminar rooms include four venues with capacity varying from 20 to 80 people, ideal for introspective work, seminars and corporate meetings, and a large multi-use venue with capacity for up to 250 participants, well suited for big seminars and retreats, concerts, yoga and martial arts practice. Further, from April to October, outdoor facilities offer an ideal setting for the practice of yoga, walking meditation, qi-qong, tai-chi or any other physical activity needing ample space. Our accommodation offer ranges from 2* hotel rooms with private facilities, to double and triple standard rooms and dormitory accommodation, with shared toilets and showers, suitable for all types of budgets. From April to October, camping is also possible on our outdoors fields. 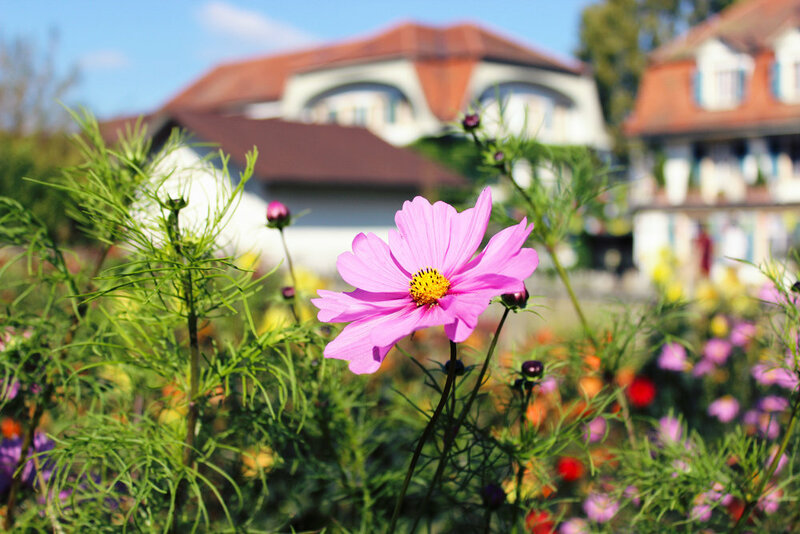 Our programmes offer workshops, retreats, conferences and training courses that contribute to raising awareness about how to develop a mindful way of living that contributes to human, social and environmental sustainability. Surrounded by mild hills, forests and farming land, the Domain of Landguet Ried offers group visitors the possibility to de-connect from worldly activity, relax and deep-dive into reflective and insightful work. It is therefore an ideal setting to explore teams’ group dynamics, do silent retreats, discover the inner source of well-being and connect to yourself and your peers from an inner space of authenticity. 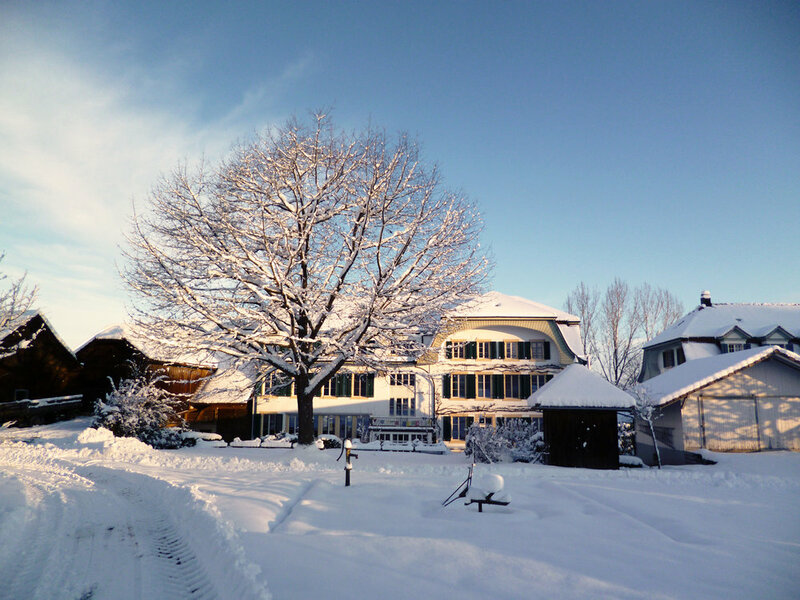 Our visitors leave home feeling energized and envigorated, with a sense of connection and purpose in their lives. Inspired by Eastern traditions and values, Landguet Ried helps promote a mindful way of living, through which social, environmental and human sustainability can be attained. In that sense, the Center’s food offering is 100% vegetarian, favours the use of local produce and has a vocation to serve the local community.